Jonas Thoms is the Assistant Professor of Horn at West Virginia University. He has served on the applied faculty at the University of Cincinnati-College Conservatory of Music, Wright State University, the University of Evansville, and the MasterWorks Festival. 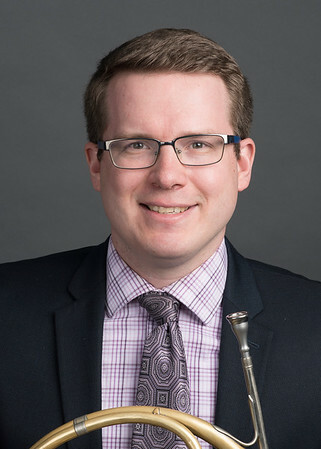 He has presented and performed at numerous International Horn Symposia, regional workshops, and universities throughout the United States and has been published in The Horn Call. Thoms has held positions in numerous regional orchestras and performed as a substitute or extra player with the Cincinnati Symphony and Pops Orchestra, Cincinnati Chamber Orchestra, Dayton Philharmonic Orchestra, Louisville Orchestra, Albany Symphony Orchestra, Artosphere Festival Orchestra, Atlantic Classical Orchestra, Cincinnati Ballet Orchestra, Columbus Symphony Orchestra, concert:nova, Fort Wayne Philharmonic, the Huang He Symphony Orchestra of Zhengzhou, China, Nashville Symphony Orchestra, Rochester Philharmonic Orchestra, Syracuse Symphony Orchestra/Symphony Syracuse, Toledo Symphony Orchestra, and West Virginia Symphony Orchestra. Thoms is a graduate from the Eastman School of Music (B.M.) and the University of Cincinnati-College Conservatory of Music (M.M), where he served as the graduate assistant to the horn studio of Randy Gardner. His primary teachers include W. Peter Kurau, Randy Gardner, Elizabeth Freimuth, Kristy Morrell, Tom Sherwood, and Roger Kaza. He currently serves as the West Virginia Representative of the International Horn Society.